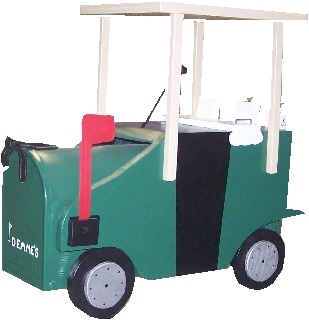 Sports Mailboxes, Golf Tee mailbox, Golf Bag mailbox, Golf Ball mailbox, Baseball mailbox, Bat mailbox, Polo Player, Nascar, Football, Baseball, Hockey, Basketball or any other sport you could or would want in a mailbox. 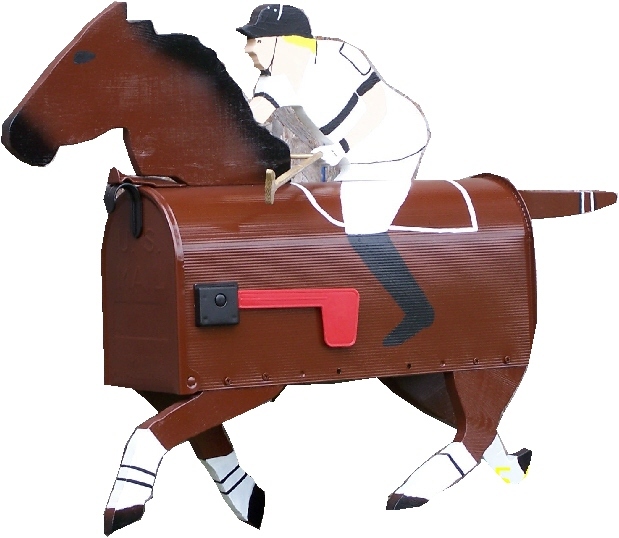 So support your favorite sport with one of our Custom Sport mailboxes. 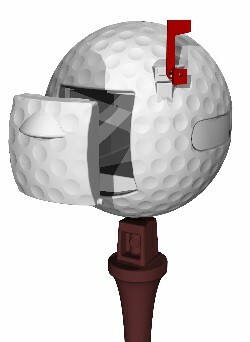 The Golf Ball Mailbox is molded out of durable non-fading plastic. 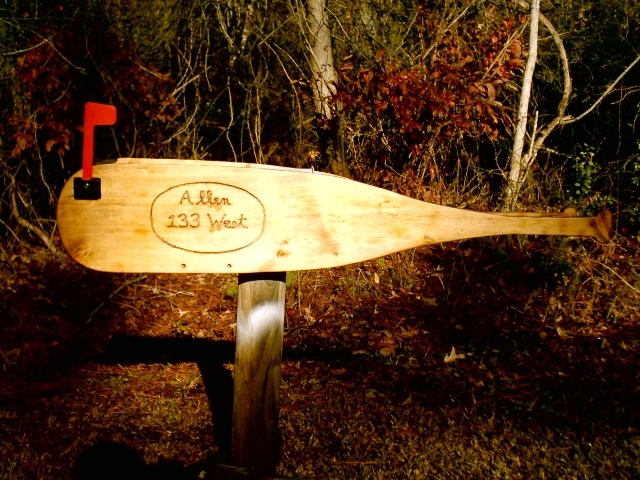 It stands 40" tall from the ground level to the bottom of the door (after installation). The Ball is 24" in diameter and has access doors in front and back. 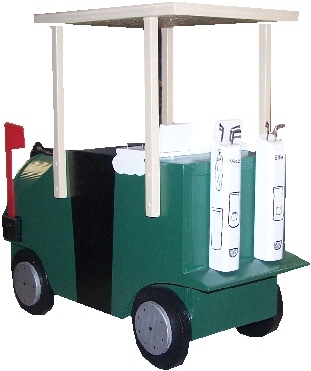 (safety feature) Total weight is approximately 25lbs. 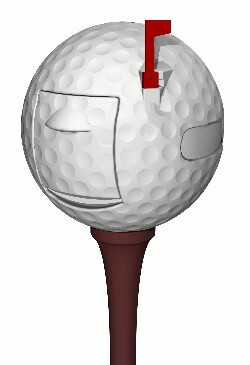 The Mailbox comes with a steel pole that the tee fits over (supplied) and four screws to attach the ball to the tee. 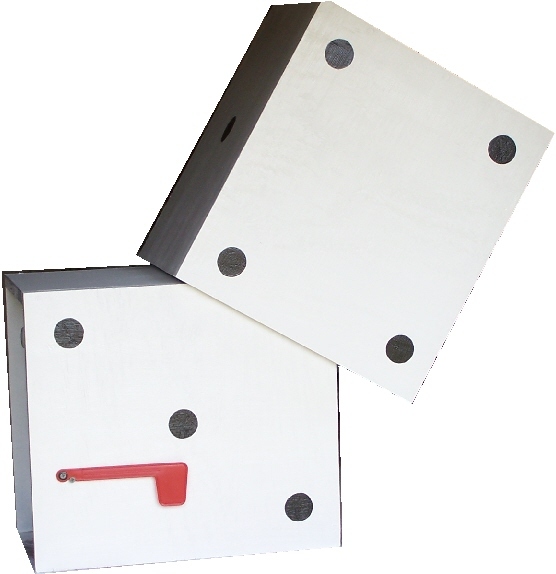 Address numbers and the flag are also included with instructions for installation. We recommend you cement your mailbox securely in the ground. Our product will last years as it was constructed with the elements in mind. Once you receive our product and have any questions please feel free to contact us. Or if you have any comments regarding this product. We look forward to your input. Shipping is not included unless specifically specified. Due to licensing restrictions I can not put logos on these mailboxes. 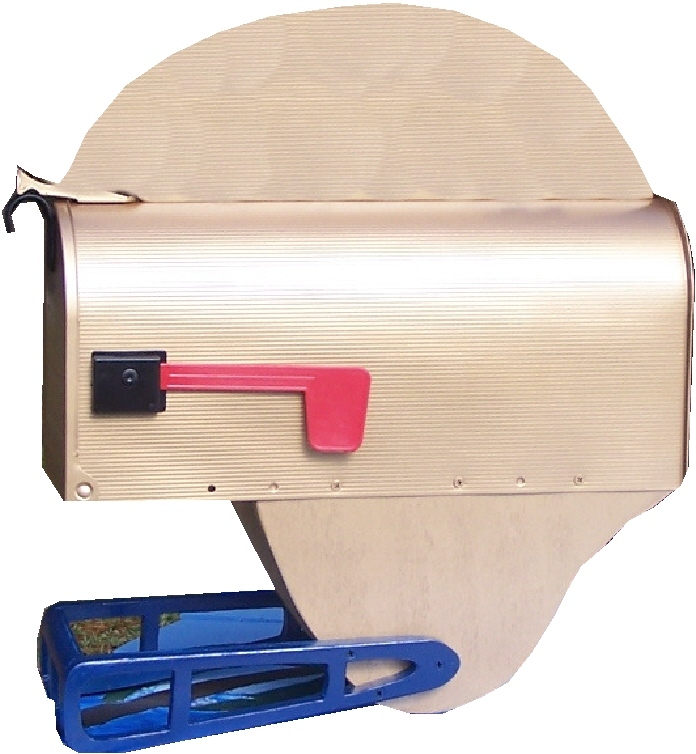 I am happy to make the mailbox painted any color schemes but not with any logos. The logos will be up to you to add to you own mailbox. You can find logos anywere online and add them later. Thank you and I am sorry for the inconvenience. 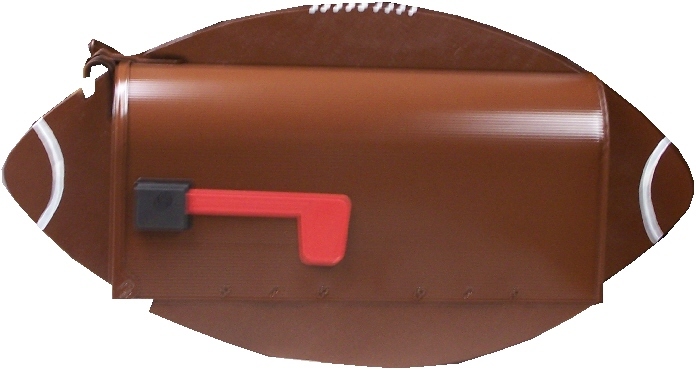 Shipping included on all Sport Related mailboxes anywhere in USA except Hawaii or Alaska. Email for quotes if outside the States or lower 48.